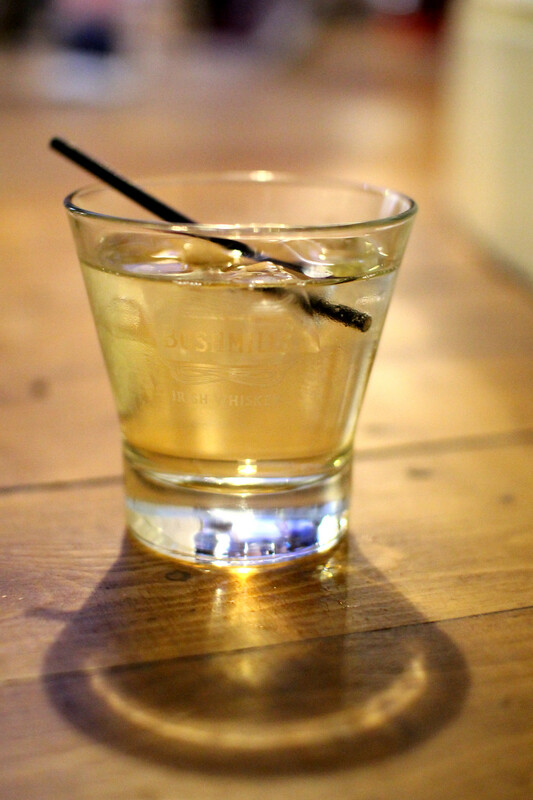 Since moving to Scotland, whisky has become something pretty familiar in my world. 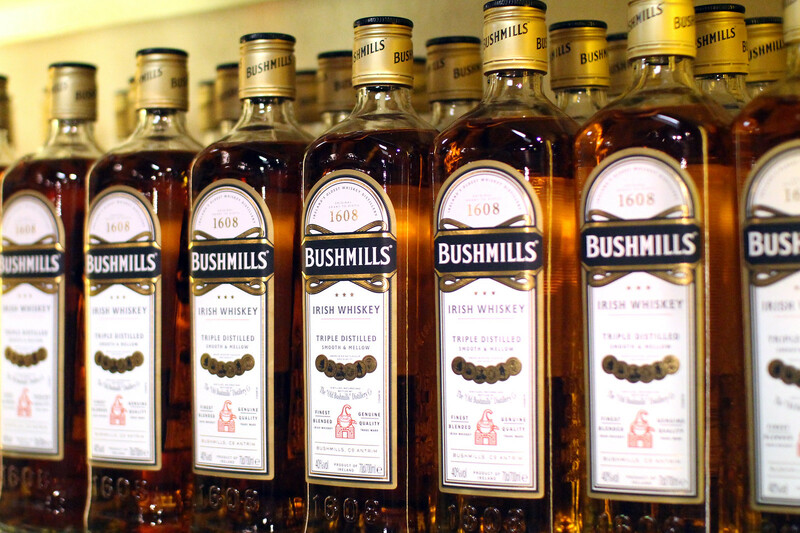 Embedded into the culture here, it’s no surprise that Irish whiskey is just as popular. 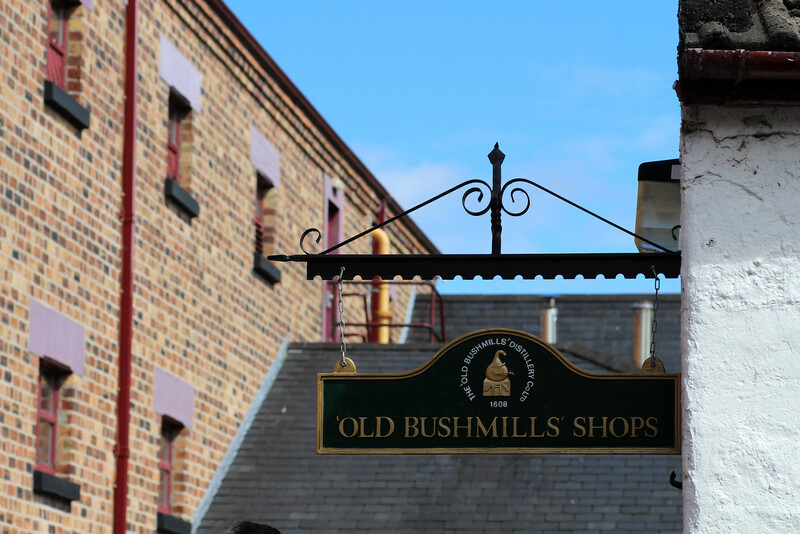 So when we made our way to Bushmills in Northern Ireland, first on our list was to visit the Old Bushmills Distillery. Although I’m not a big whisky fan myself, it’s something that can be appreciated for it’s artistry, no matter your taste. 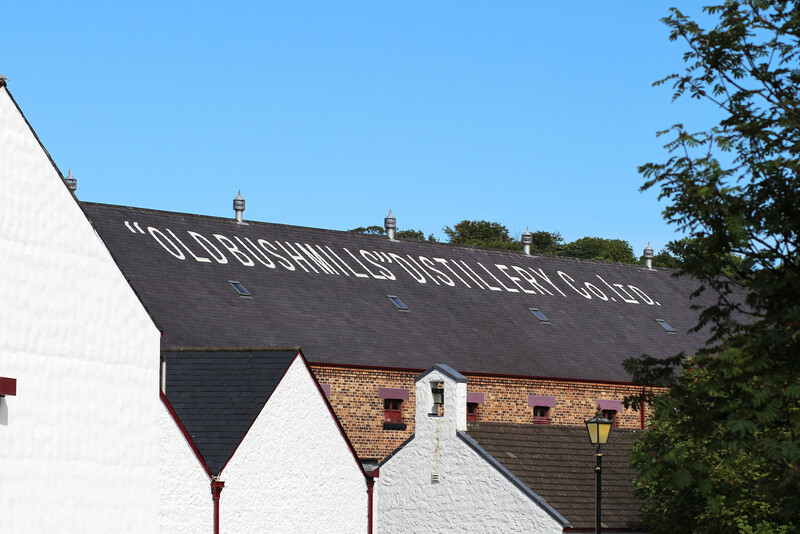 You’ll find the Old Bushmills Distillery in the heart of Bushmills itself. A relatively small village along the coast in Northern Ireland. Perfect distance to walk back to our apartment in the middle of town. Allowing us to sample a few whiskeys! 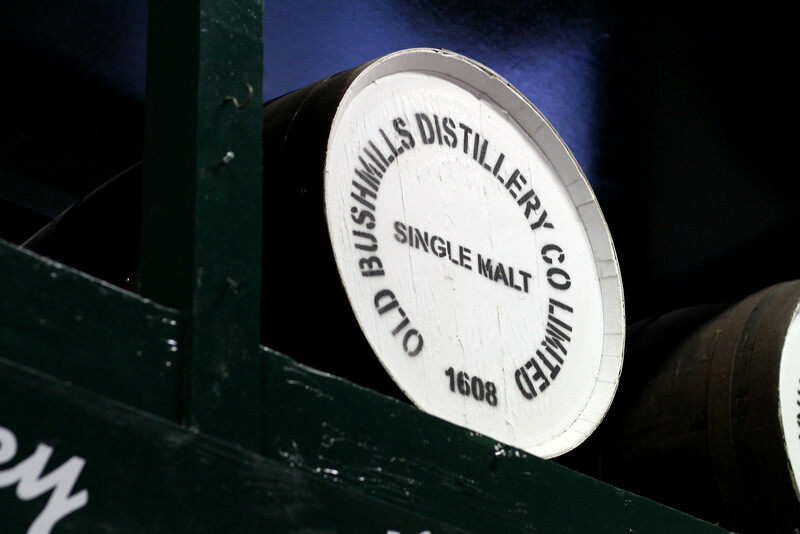 Since 1608, Old Bushmills has been a favourite around the world, as one of the world’s oldest whiskey distilleries. 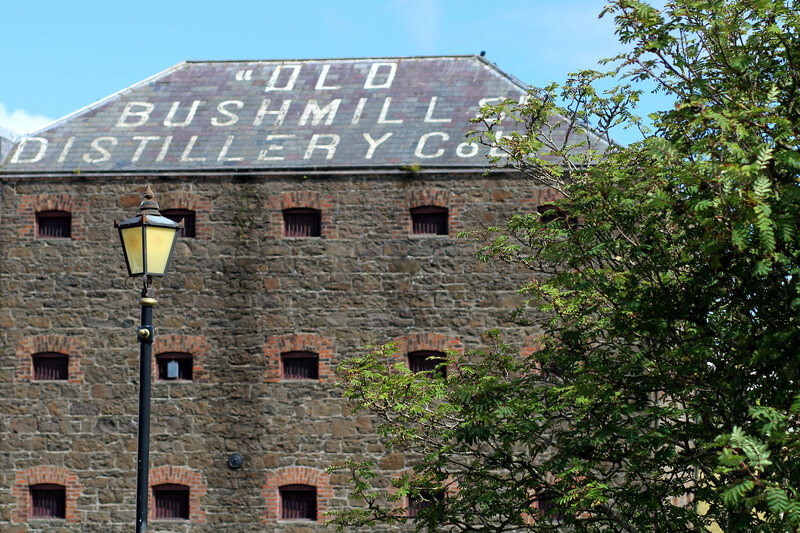 Even with it’s own special mention in James Joyce’s ‘Ulysses’; it’s no surprise the name Bushmills carries quite the story to tell. 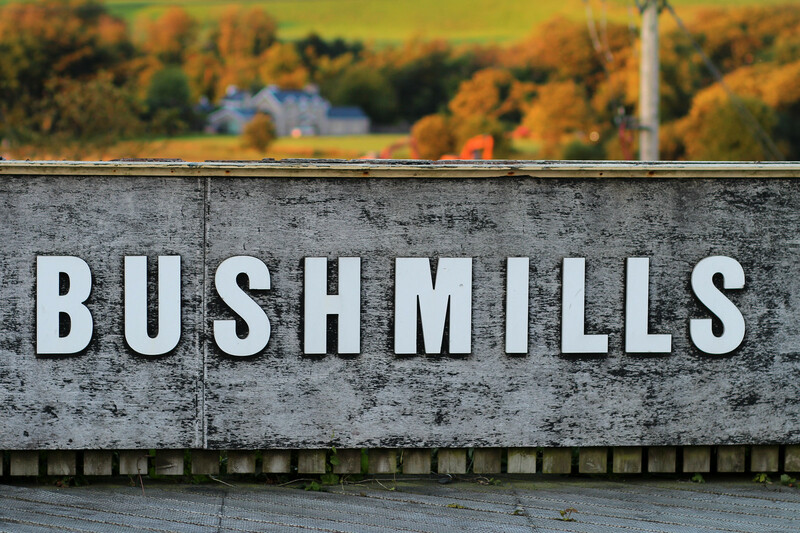 Keeping the same philosophy for over 400 years of hand crafted small batches, Old Bushmills is the oldest working distillery in Ireland. 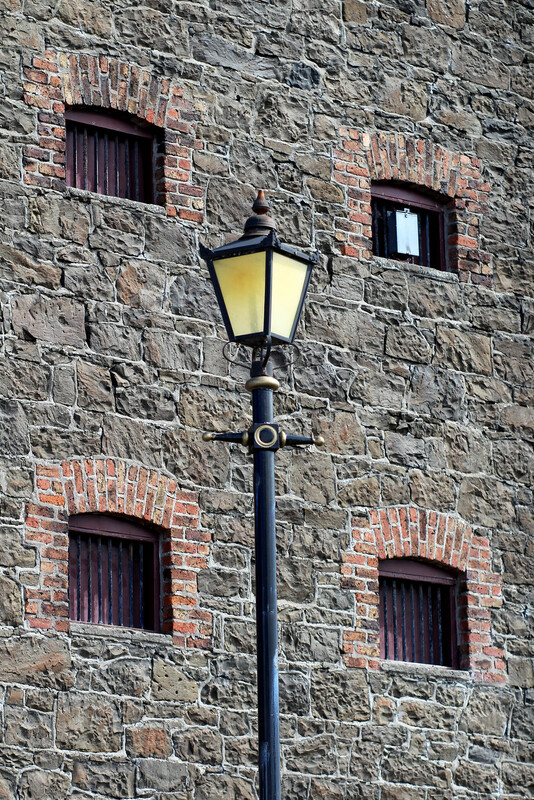 The distillery is open for tours daily, each running every half a hour. 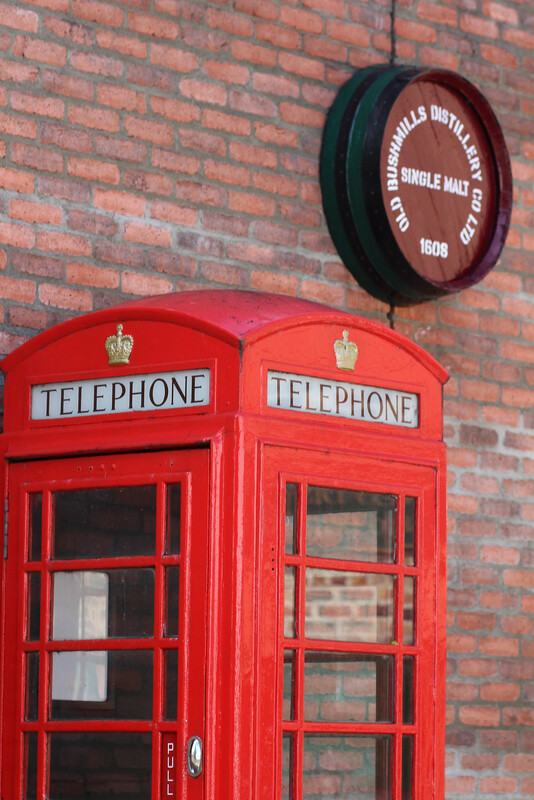 On a first come first serve basis, you can expect to pay £8 per adult. The price also includes two complimentary drinks at the end of the tour. 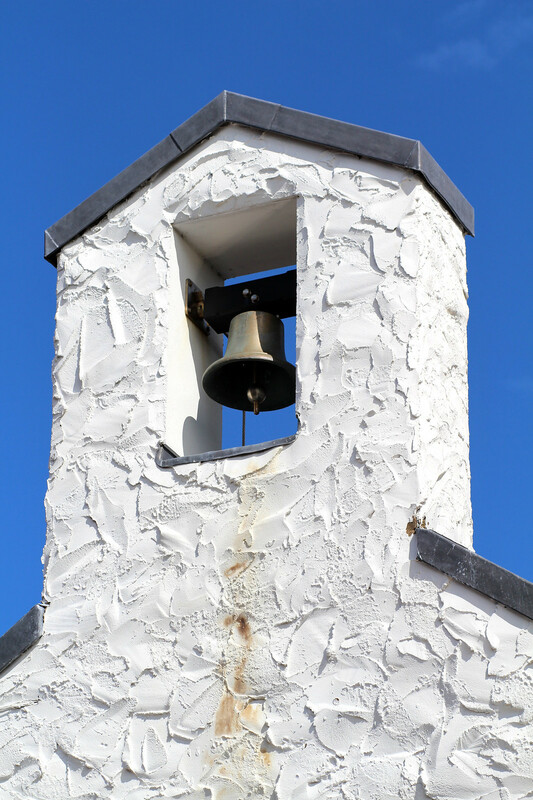 The last tour leaves at 4pm daily, so be sure to get there with time to spare, as you will have to wait. Unsurprisingly, the busiest time of day is in the afternoon. 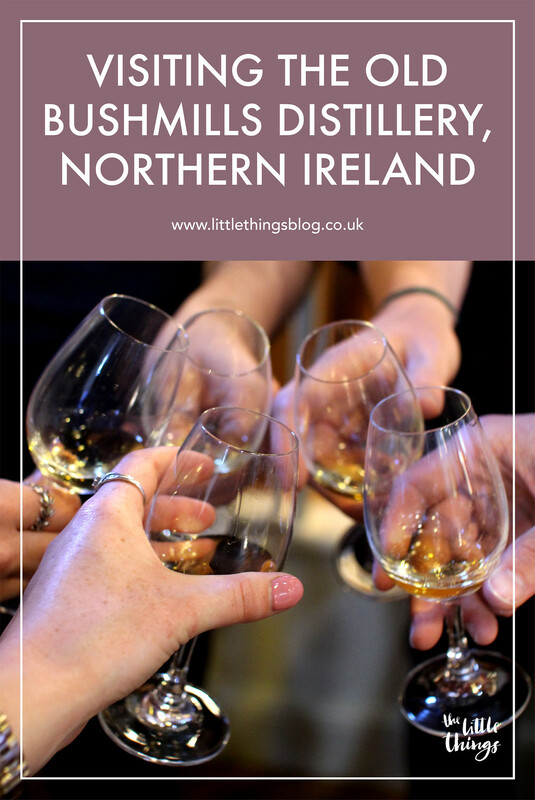 Upon starting the tour, you’ll be taken through a step by step process of the distilling. Entering the mash room you’re immediately hit by the strong smell of barley malt, ready to be fermented. From here prepare yourself for entering the incredibly hot distillation room. It’s hard to quite appreciate just how large the still’s are, which tower above. 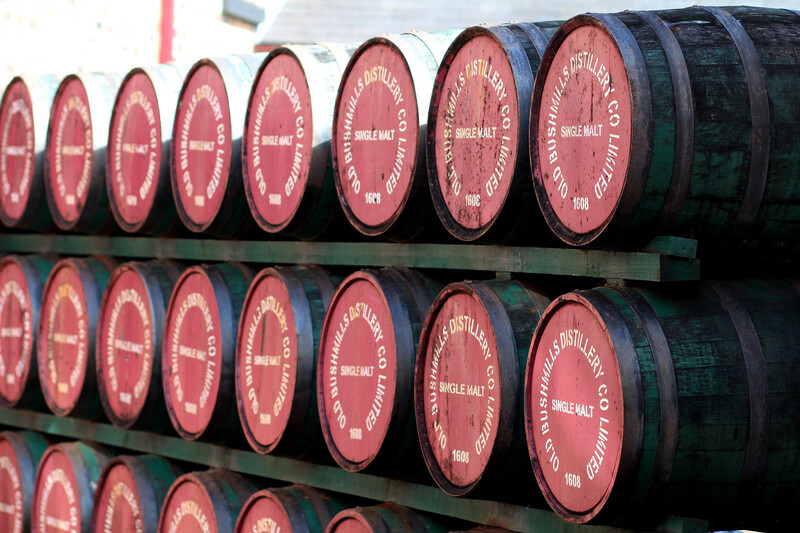 After you’ve sufficiently melted, you’ll instantly cool in the maturing room full of storage casks. With a wonderful homely smell of wood, sherry, bourbon whiskey and various other secret blends. 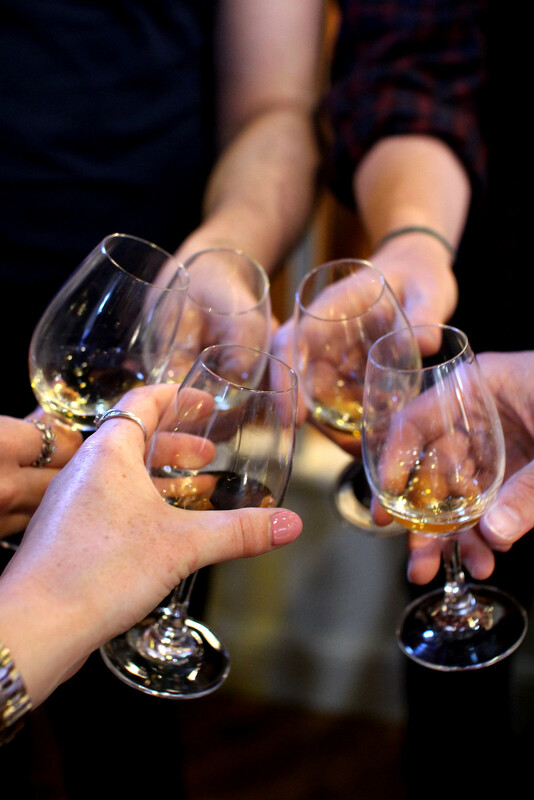 At the end of the tour you’re given a complimentary taste of one of the Old Bushmills whiskeys, and a token for another of your choosing at the bar. I opted for a whiskey and lemonade cocktail as I prefer something a little sweeter (and less strong!) but the choice is yours. The tour was very informative and fascinating to watch how it was all being made in front of us, even down to the bottling process. For just £8 we all felt it was a bargain considering the cost of other tours, and that included the two drinks! 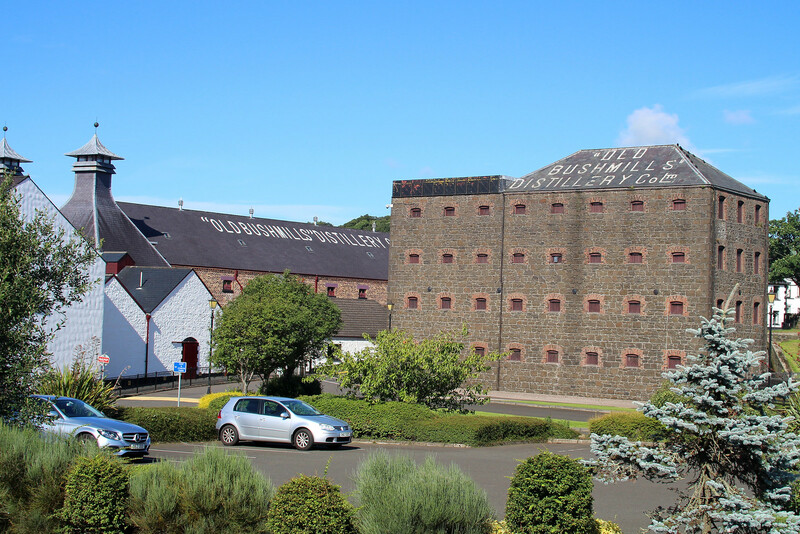 I’d definitely recommend a visit if you’re thinking of visiting Bushmills.